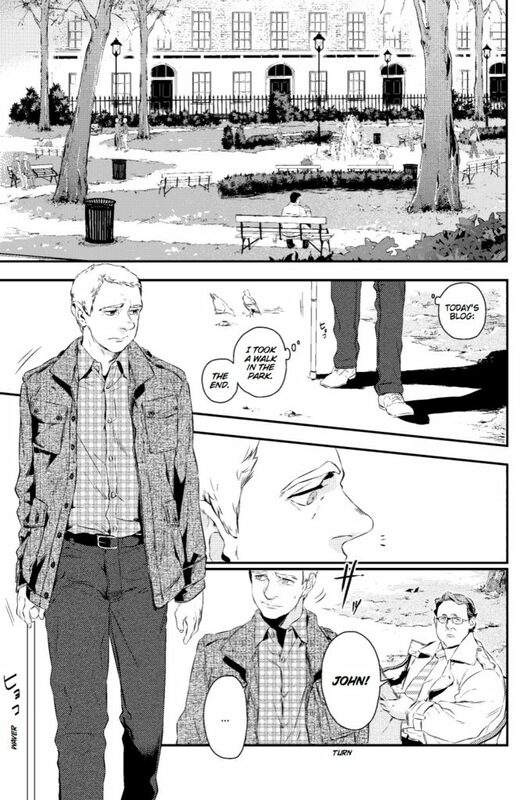 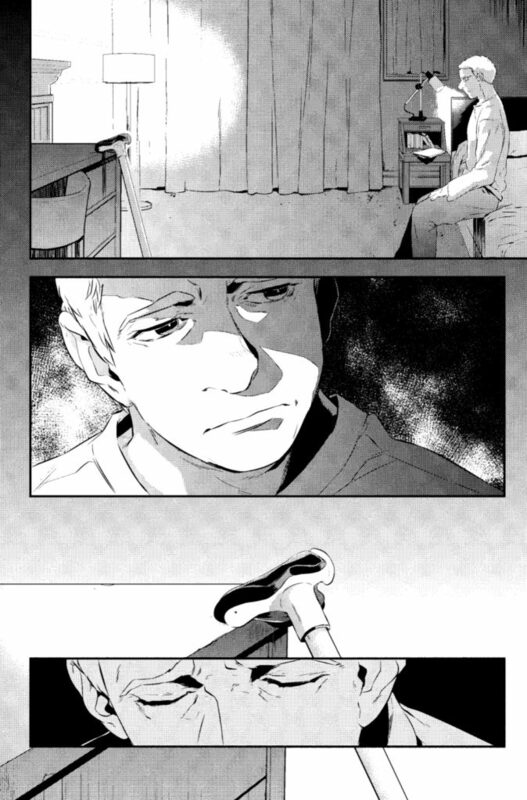 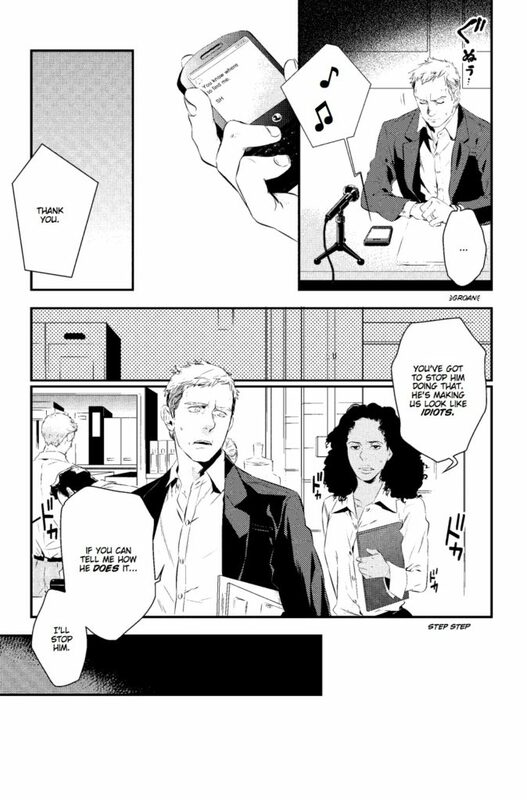 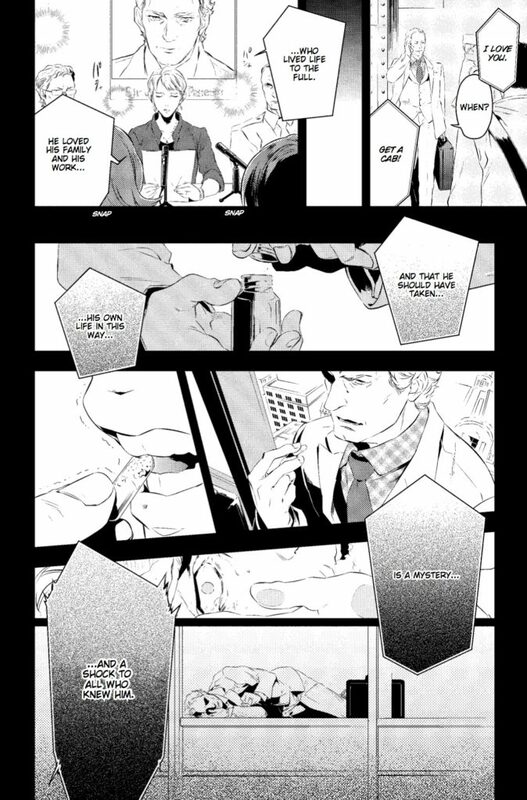 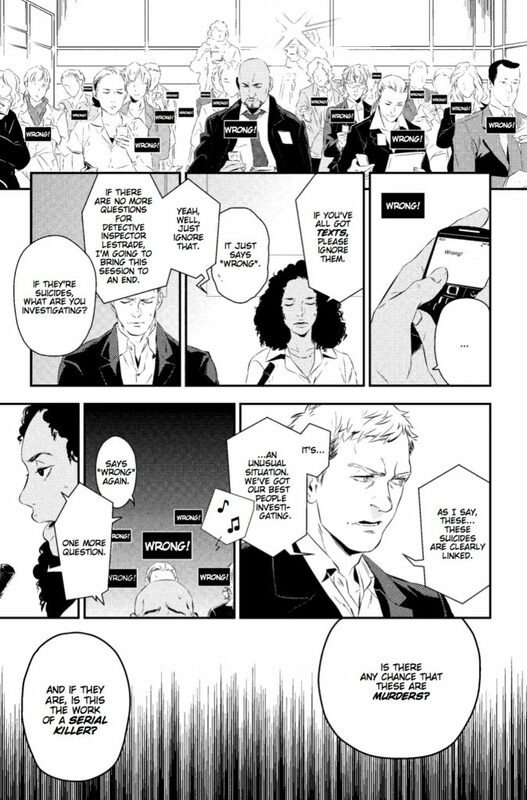 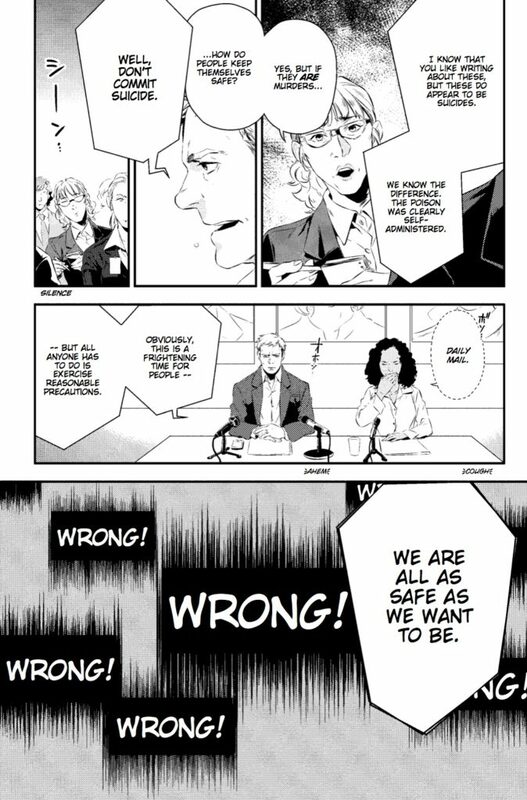 The following is an exclusive excerpt from the manga adaptation of series one of the television show “Sherlock”, written by Mark Gatiss, Steven Moffat & Steve Thompson, illustrated by Jay. 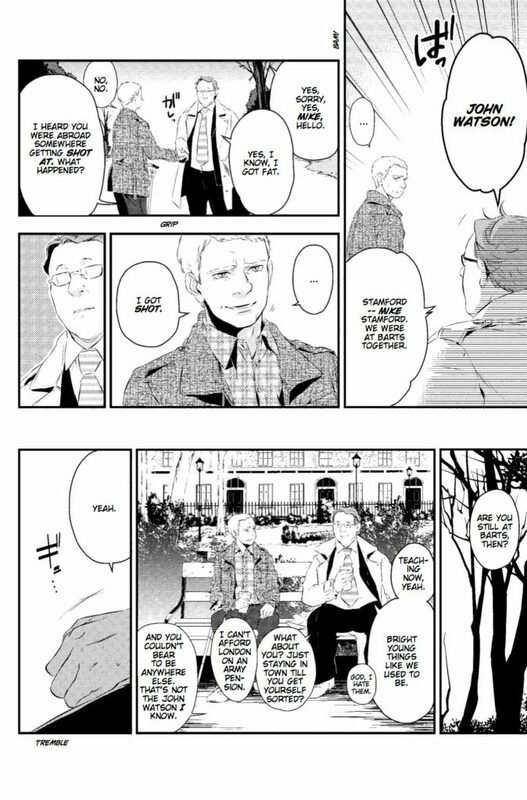 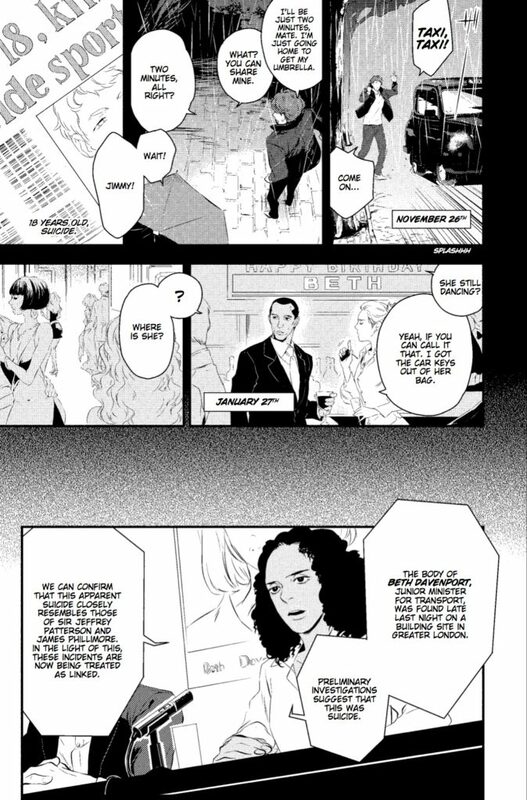 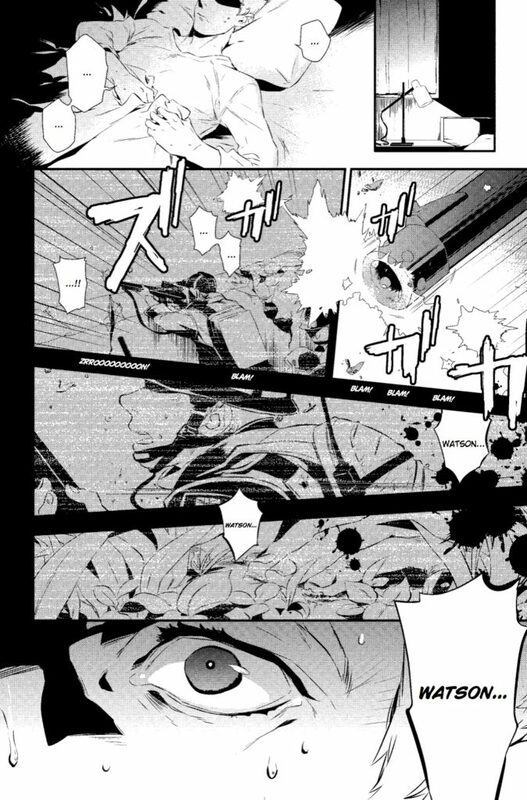 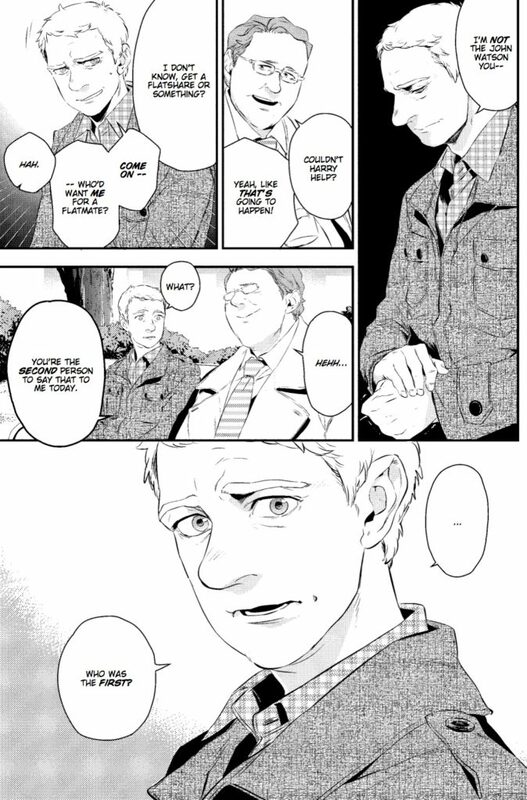 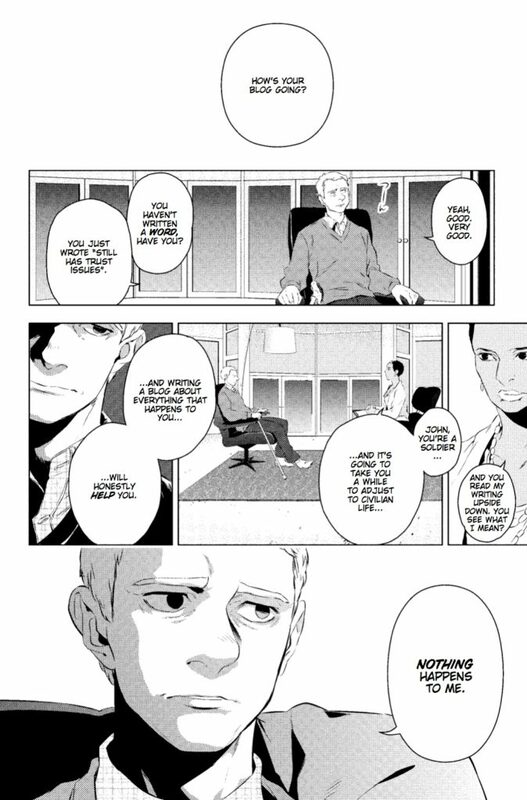 The Manga illustrations add psychological depth and disrupt the familiar narrative in these opening scenes, as Sherlock and Watson are gradually introduced against a backdrop of London beset by mysterious deaths. 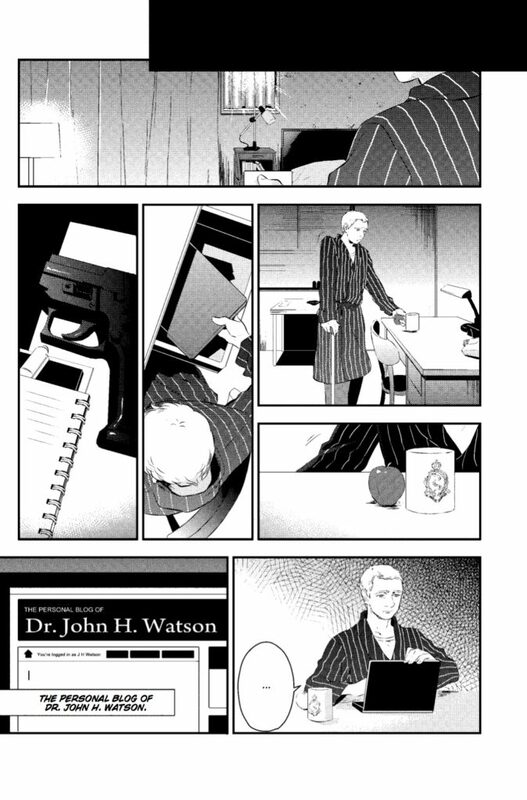 From SHERLOCK THE COMPLETE SEASON ONE MANGA, written by Mark Gatiss, Steven Moffat & Steve Thompson, illustrated by Jay. 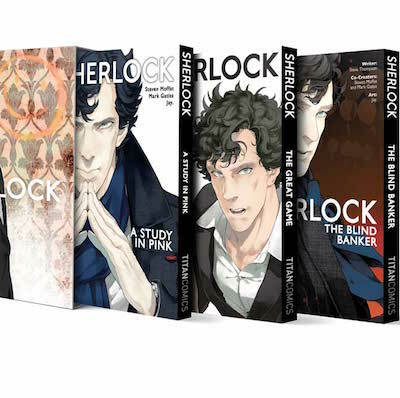 Used with the permission of the publisher, Titan Comics. 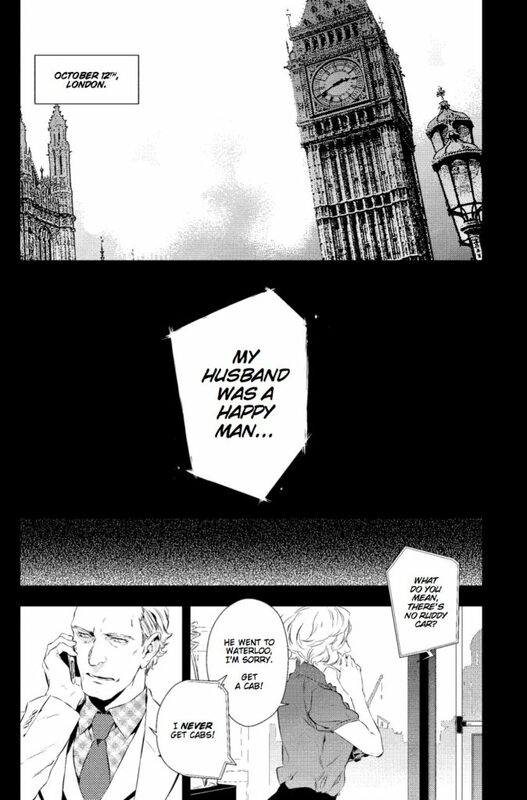 Copyright © 2018 by Gatiss, Moffat, Thompson and Jay.